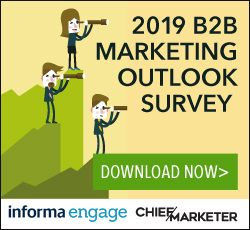 Business-to-business marketers keep hearing emotion plays a critical role in B2B messaging, but they aren’t listening very well. By our estimation, 80 percent of B2B advertising still focuses on product features and benefits. In a world where most products are good enough to serve the majority of users most of the time (Simon Hayward, Gartner), this continued practice is shockingly stubborn. 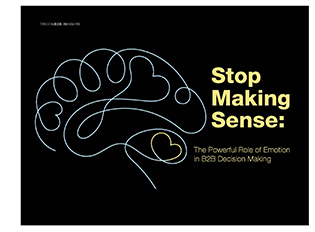 To help you take the leap, TriComB2B published Stop Making Sense: The Powerful Role of Emotion in B2B Decision Making. This guide includes research and anecdotes to help make the case for more emotion in your B2B marketing efforts. Purchase decisions are likely based on a gut feeling — which your audience may have started to feel after seeing your marketing. Read this guide to learn how to get customers’ attention with an emotional approach.